Make this your dream mountain retreat!! Situated at the base of Pisgah Mountain and bordered by Stoney Fork Creek. 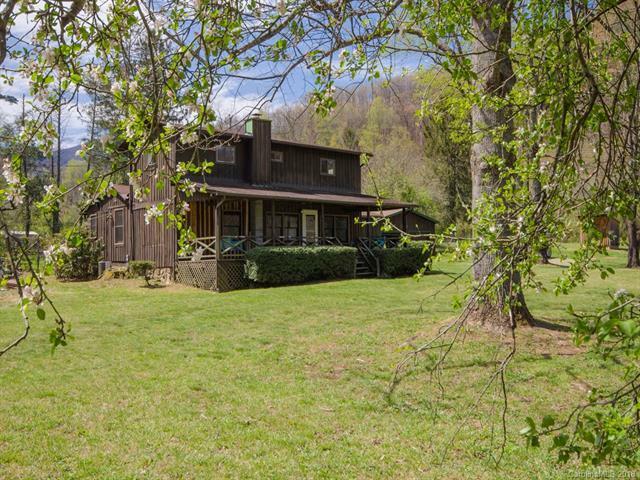 Peaceful 1.9 acres and less than 20 minutes to I-40 and Asheville. Perfect natural habitat for gardening, farm animals, friends, and family. Diversified OU zoning. 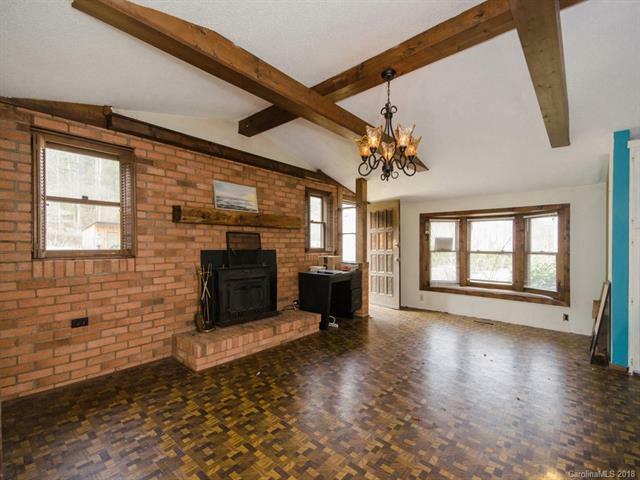 Uniquely built in 1970, around historic 1885 familys farm room. Numerous updates to plumbing, electrical, and structural. Downstairs One Bedroom with new bath. 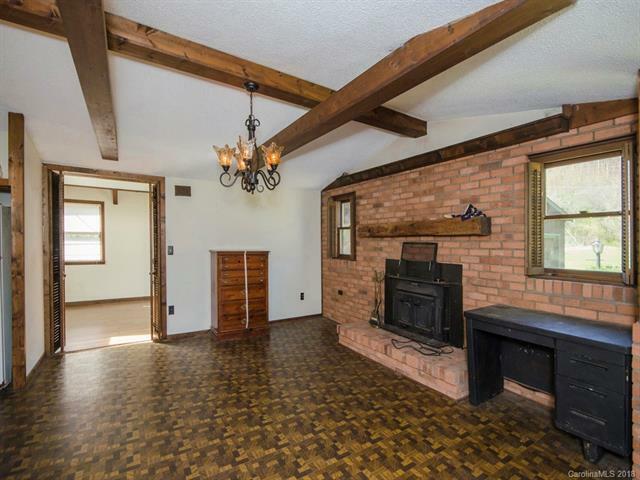 Two fireplaces. Prior upstairs two bedrooms and bath being redesigned as a Master Suite, with bath already rough plumbed. 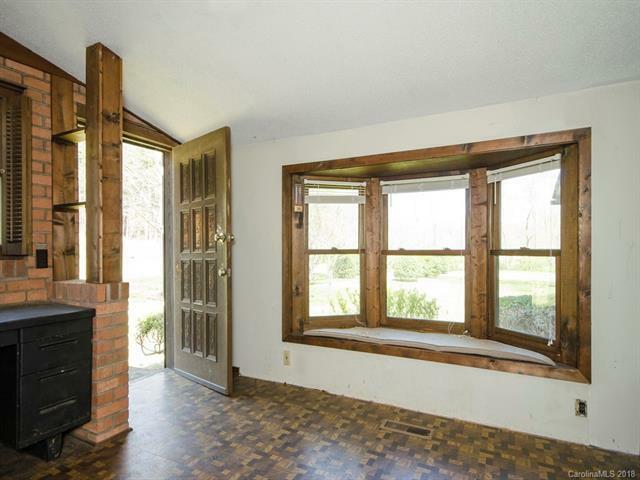 Endless opportunities to personalize this peaceful mountain home. Detached 2 car garage, and additional storage building are a plus. No septic record found. Only heat source is propane fireplace.